Each winter California sea lions (Zalophus californianus) gather in the hundreds on the rock slopes of North Coronado Island, just south of the US/Mexico border. The bottom diving is unremarkable here the remainder of the year, but when the sea lions are gathered in such numbers it is worth making the short boat trip for a dive with them. California sea lions, hauled out at rookery/colony, Baja California. 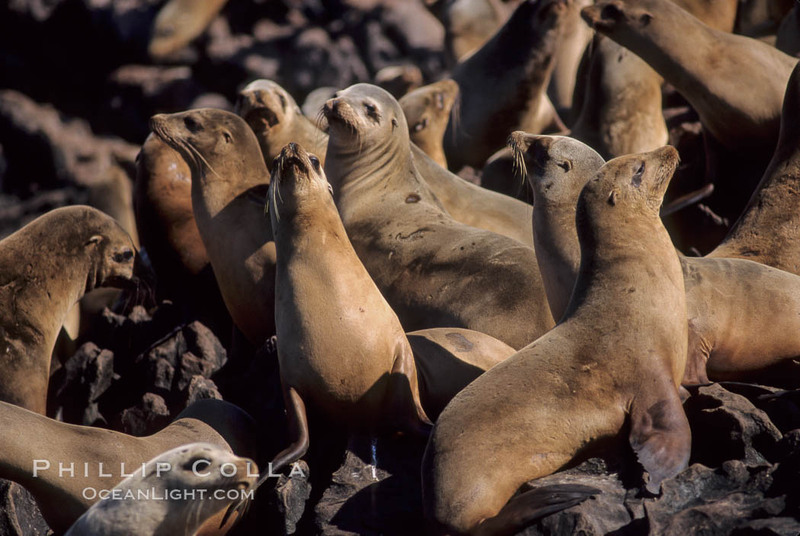 Keywords: California sea lion photo, rookery, colony, Zalophus californianus, Coronado Islands, Islas Coronado.